It is sometimes made out of plastic, but mostly vinyl because of its ability to stretch, tear easily, and last long. These useful properties led electrical tape to become an all-purpose tape used not only by electricians, but by athletes, musicians and homeowners. Electrical tape is one type of vinyl tape that was developed by inventors from the tape supplier company 3M in the mid nineteen forties. All electrical tape has been UL certified not to catch fire or burn if overheated, and therefore is safe to use when wrapping exposed wire. Foil tape is another type that can wrap exposed wires for additional protection. Electrical tape is most often black because of its ultraviolet resistance, but many electricians use different colors to identify voltage levels and phases of wires. For example, blue tape signals a low voltage, phase C wire, brown represents a high voltage, phase A wire, and green tape is used on earth ground wires. Electrical tape varies from other tape in simple but distinct ways. PTFE tape color codes pipes as electrical tape color codes wires, but PTFE has a natural adhesive that sets it apart. Since marking tape is often used to highlight areas on the floor, it has a high abrasion resistance, which is a vastly different texture than the smoothness of electrical tape. Electrical tape is often adhered to exposed wires by wrapping the roll around the wire so that the tape transitions smoothly off the roll and onto the wire without sticking to itself. Light tension should be applied to keep the tape on the wire, where it makes the electrical cord waterproof, insulated, and safe to touch. This is a vital process for electricians in particular, since working with bare wires exposes them to electrocution. The tape needs to be wrapped tightly so there are no gaps where moisture can get in, but not too tight or else it will stretch too far, change shape and loosen as it returns to its original state. Electrical tape is able to stay put for many years and may be easily removed without leaving adhesive on the wire. 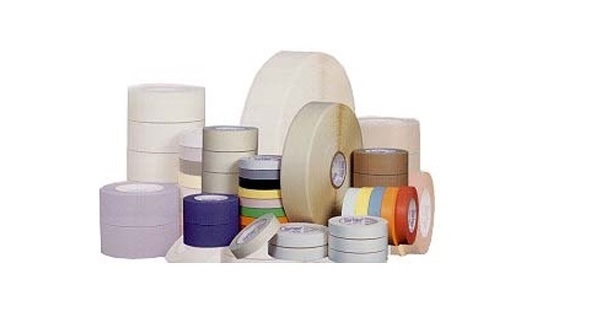 On occasion it may also be referred to as insulating tape, friction tape or PVC electrical insulation tape, but the last only applies if it’s made out of plastic. Electrical Tape Electrical tape is made from materials that don't conduct electricity and therefore is very useful for insulating electrical wire or other conduits and securing lighting cables.